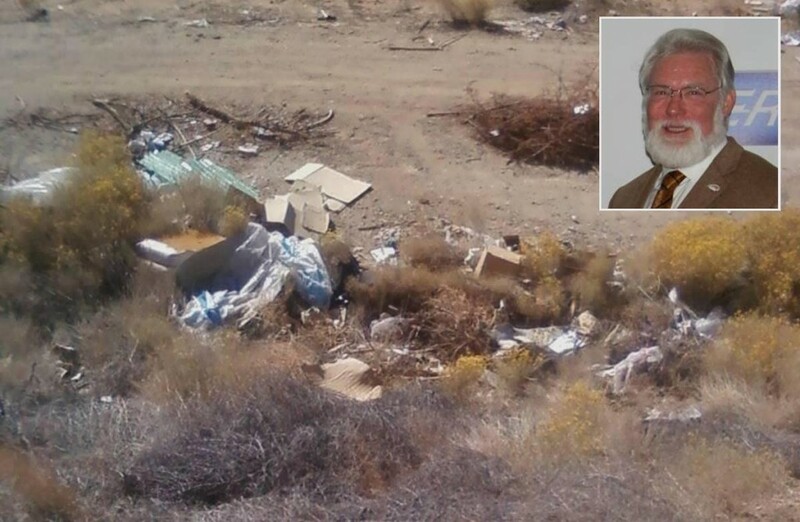 On Saturday, dozens of Antelope Valley residents will join Lancaster Mayor R. Rex Parris in picking up trash, as they walk through their community, to raise money for programs provided by Antelope Valley Ministries. The group will tackle the dumping ground (pictured) near Endeavor Middle School. LANCASTER – More than 50 community members, joined by Lancaster Mayor R. Rex Parris, are expected to kick off the City of Angels-Antelope Valley Ministries’ inaugural neighborhood Clean-A-Thon on Saturday (Nov. 10), to raise funds for various community-based programs. The Clean-A-Thon takes place, from 7:30 a.m. to 12 p.m., at 4416 Jonathon Street in Lancaster (45th & J to 45th & K, and around Endeavor Middle School). The Clean-A-Thon’s mission is “to help raise some green while keeping our community clean,” said organizers. Unlike a traditional walk-a-thon, the Clean-A-Thon has a “clean twist,” calling on participants to walk, pick up litter—and bag it—all at the same time. 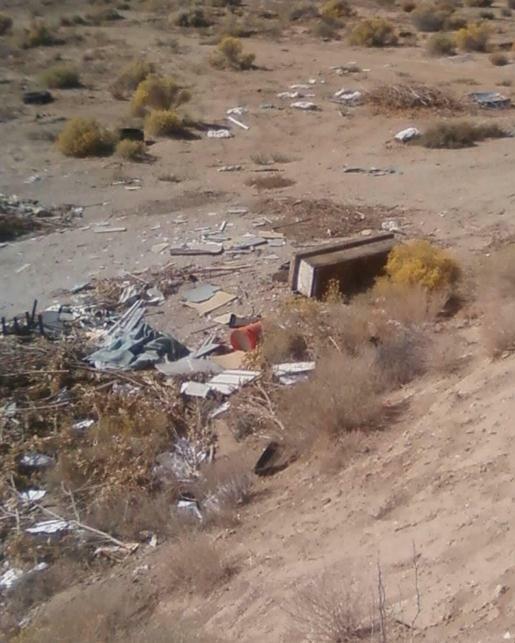 To help fulfill their vision, Antelope Valley Ministries turned to Waste Management to serve as their trash and recycling/clean-up sponsor. Monthly youth events for college students, teens and pre-teens (including a road trip to CSULB this Friday). The community is invited to participate in the inaugural Clean-A-Thon, via trash pick-up and/or donations. To make a monetary donation, make a check or money order payable to the City of Angels ICC-AV Ministries and give it to Rashima Erickson at the Clean-A-Thon on Saturday. Monetary donations can also be made on Sunday (Nov. 11) at the Lancaster City Park’s Stanley Kleiner Indoor Activity Center. Online donations can be made by visiting www.caicc.net, clicking the “donate” button, and noting that the donation is for the AV Clean-A-Thon. For more information on this Saturday’s Clean-A-Thon, contact 661.728.1456.